Only the winner will is guaranteed a berth at the Olympic tournament in London. 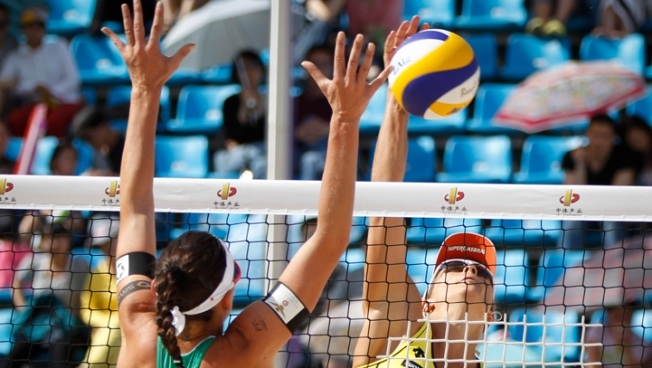 Brazil's Juliana Da Silva's spiking ability may land her country an Olympic spot. Brazil beat Venezuela 25-14, 25-15, 25-23 on Saturday to reach the final of the South American Olympic qualifying tournament in women's volleyball. Brazil will face Peru for a spot in the Olympics. Peru beat Colombia 25-19, 15-25, 22-25, 25-11, 17-15. A victory over Peru will allow Brazil to try to defend its title in the 2008 Beijing Games. Seven teams began playing the qualifying tournament and the top two in each of the two groups reached the semifinals.